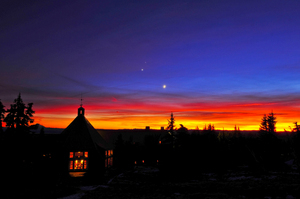 The venerable Timberline at Government Camp at the 6,600 foot level of Mt. 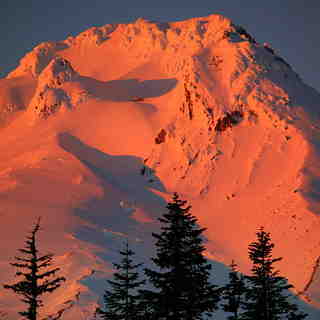 Hood (11,235 feet) has a 3,590 vertical and 1,430 skiable acres. 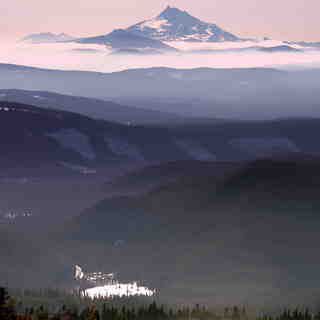 The best World Cup national teams train at Timberline, in the summer. The resort has the longest ski season in North America. 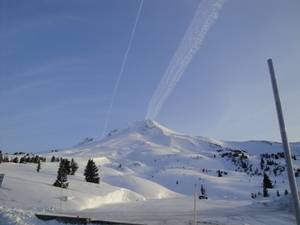 It has summer snow and closes around Labor Day for maintenance and then Timberline reopens for almost a whole year. I'm a fan of Timberline. Everybody who works there is super friendly and there is never a wait to catch a chair. The Magic Mile can have amazing snow when the conditions are right. It is very exposed, so not always open ... but when it is... wow! The mountain is kind of lacking in steep terrain, so if you're looking for a steep mogul bowl go elsewhere. 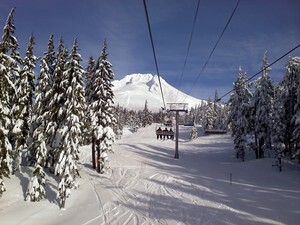 But if you want the best snow in the area, friendly staff, and no lift lines, don't overlook Timberline.